I'm studying 2d/3d animation and illustration in Bordeaux. 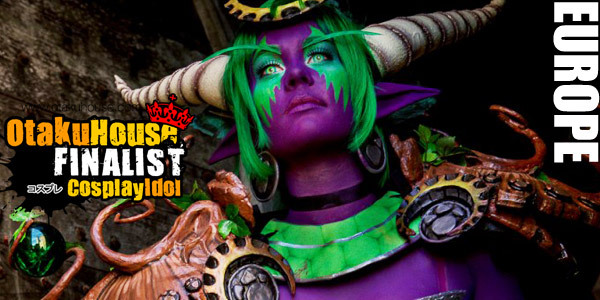 The Blizzard universe has always been one of my major themes of inspiration, both for my costumes and drawings. 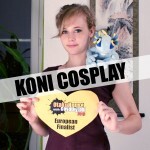 Konan from Naruto was the first costume I ever made. 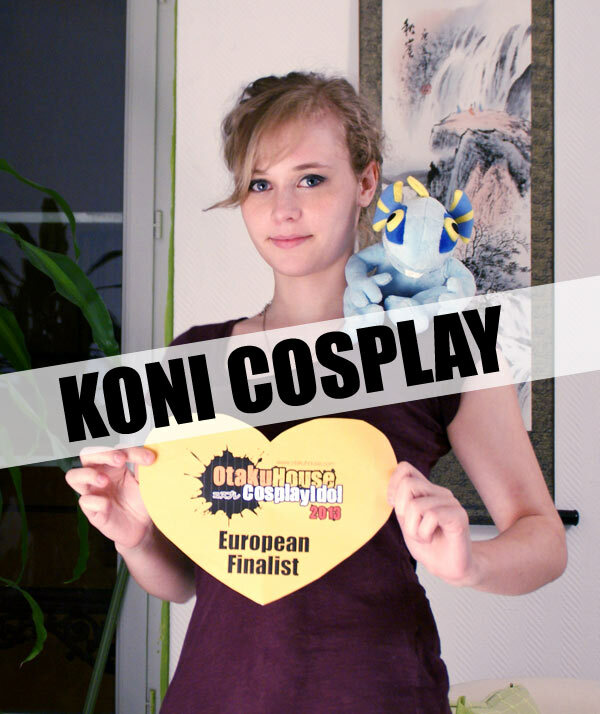 After this (poor) first attempt and a disappointment from seeing way too many other cosplayers as Konan, I decided to attempt a more original costume from the World of Warcraft MMORPG. At that time, very very few people in France had been into WOW cosplay. Already familiar with the sets of armor and the background stories of the game, I decided to commit myself into portraying and cosplaying this universe. My favorite part of the Art of Blizzard is the fact that these armors always have a different challenge to overcome and I love to find the right technique to accomplish my goal. I really enjoy giving life and volume to the flat 3D original texture and adding my personal artistic identity as well in every costume I make. Full body make up, wing mechanism, heavy weapons, effective yet invisible armor attachment, I always figure out a way to make it work ! Description : This one too is inspired from an official Blizzard artwork . I really enjoyed giving it its full scope through the shape, the volume, the textures and also by embodying it. Description : I have always had a huge crush on this armor. I have waited two years until I was sure I had the skills to make it. Making the wings has been a big challenge because of the opening mechanism, as well as the helmet that required me to make a plaster cast of my head. Lights in the costume were also a challenge since there are 21 LEDS installed in the costume. 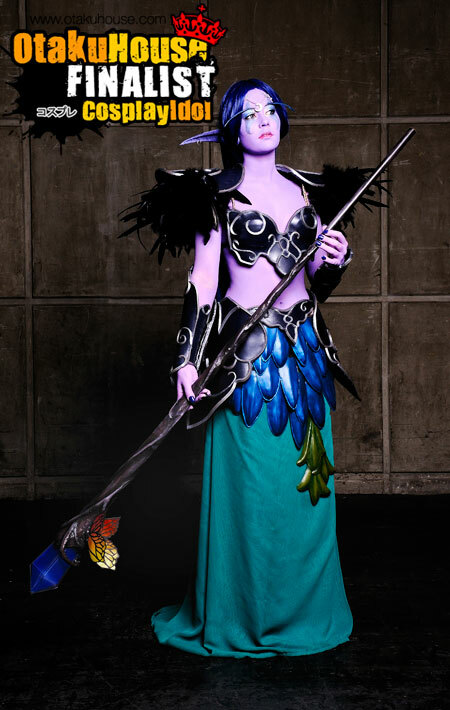 Since I have been playing World of Warcraft for a long time, I was very proud to represent the Warlock community ! 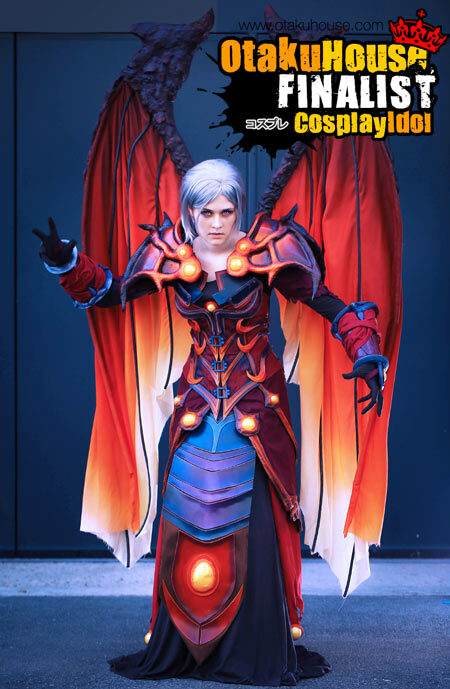 Description : This cosplay comes from an official picture by Blizzard that I particularly love. Furthermore, blood elves are my favorite characters and I always take great pleasure in being in character as they double personalities: attractive, yet dangerous. Attaching the skirt was the main challenge of this costume.